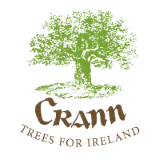 If you have an article in mind that you would like to see published in Crann Magazine then please contact us with your details which will be sent to our editor and you will also receive an email that outlines what we require for our print and online publications. Photographs to accompany the article – the number and the technical quality. The photographs should be at least 1MB each and should be sent as attachments to emails along with a caption for each picture. The article should be at least 1,000 words and no more than 1,500 words. We love to hear from interested authors, so please tell us what you would like to write about and our editor will be in touch to help you in your endeavour.